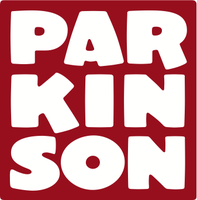 Jim Parkinson is the founder and sole employee at Parkinson Type Design. He was born in Richmond, California, in 1941, and he’s been lettering ever since. Jim was one of the designers who worked on ITC Bodoni, along with Sumner Stone, Holly Goldsmith and Janet Prescott Fishman. He drew Parkinson Electra for Monotype and has done a number of custom fonts for magazines and newspapers. In addition to his custom font work, Jim has designed dozens of retail fonts. Some of these designs are exclusives for Adobe, Monotype, FontShop, and The Font Bureau. The rest are released through Parkinson Type Design. Jim has also specialized in typographic logos for magazines and newspapers, including Rolling Stone, Newsweek, Esquire, InStyle, Men’s Journal, The Wall Street Journal, The Los Angeles Times, The Detroit Free Press, the Toronto Star and The National Post. In a rare departure from publication work, Jim designed the logo for the Ringling Bros. and Barnum & Bailey Circus. In his spare time, he paints…mostly pictures that feature letterforms.